Designed specifically for general handling applications, the Portwest PVC Venti General Handling Gloves A401 offer exceptional grip and an open back that works to keep the hands cool during extended use. 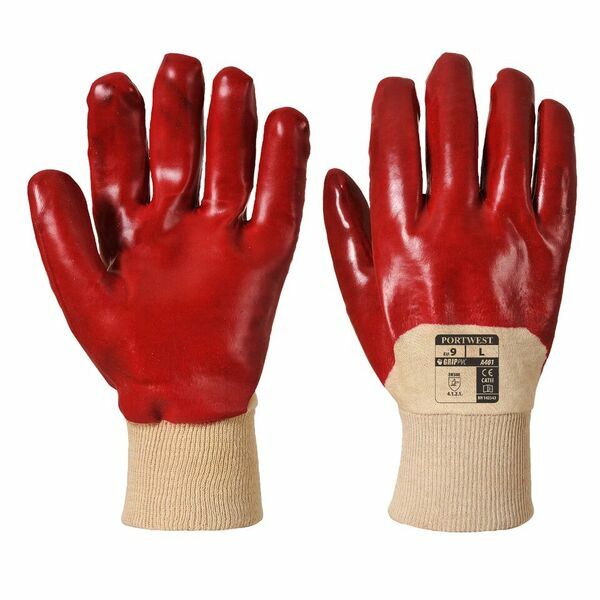 Their tough and durable PVC coating ensures excellent all-round mechanical protection to keep the hands safe. Despite their tough construction, the gloves feature an inner cotton liner that boosts the user's productivity thanks to their hand fatigue-reducing qualities. The Portwest PVC Handling Gloves are available in three sizes that should suit the hands of most users. Please measure the circumference of your hand around the knuckles (excluding the thumb) with your hand open and your fingers together, and the length of your hand from the tip of your middle finger to your wrist.